Bring the fun to your backyard with our outdoor playhouses! These playhouses are perfect for unleashing your child’s creativity and fueling the fun for playdates. Our backyard playhouses for sale are appropriate for children of all ages and suitable for all parents looking for a safe option for their kids to play outside. 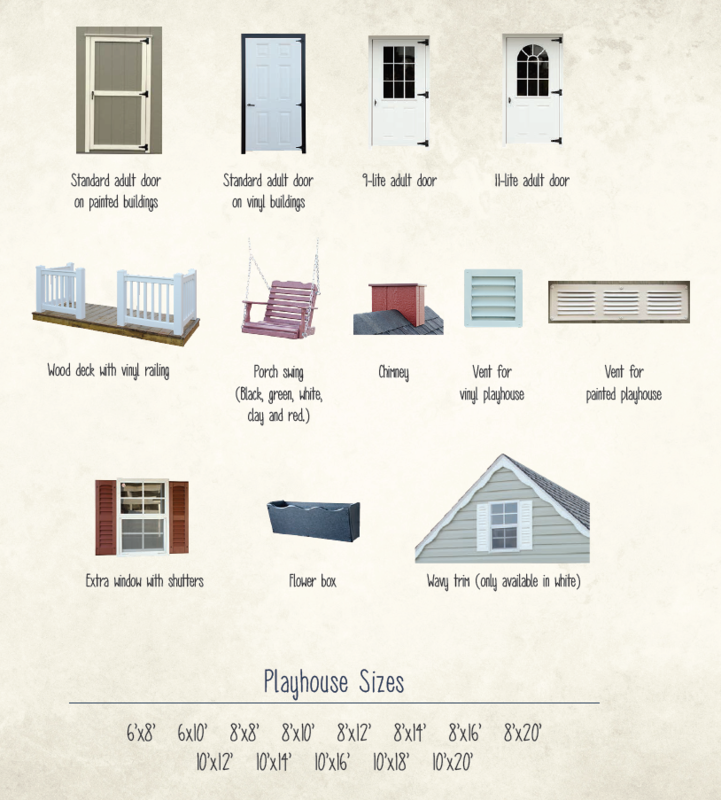 Start designing the perfect playhouse by choosing from all of our different options. 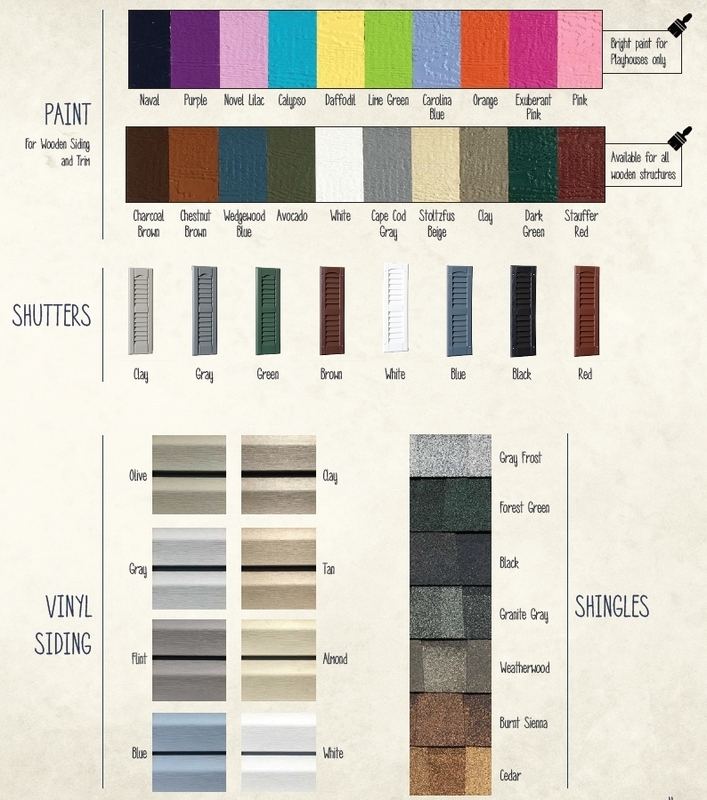 Pick a size that’ll fit the space in your yard, select siding, trim and shingle colors that compliment your style, and dress it up with features like chimneys, shutters, doors and swings!